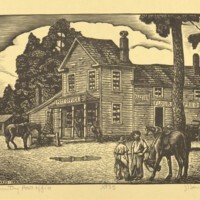 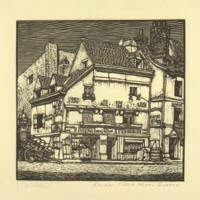 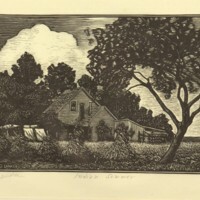 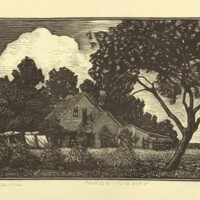 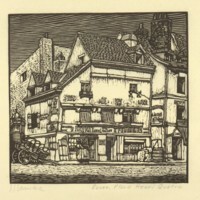 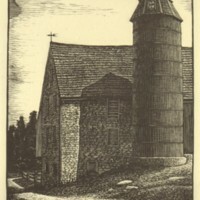 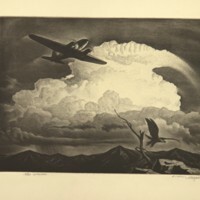 OOriginal woodcut print by Julius T. Lankes titled "Country Post Office". 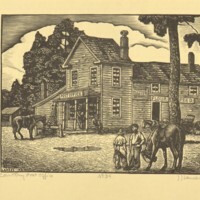 The print depicts a wood post office and two men with their horses. 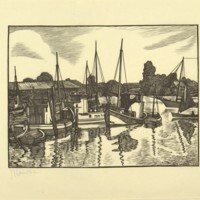 The print is numbered "No. 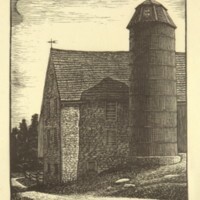 34".